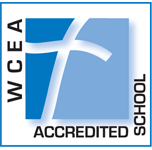 Recognized as one of the best Catholic schools in California. The liberal arts curriculum provide the young mind with the tools of learning and critical thinking. The Blue Letter contains weekly commentary for thought from the Headmaster. News, events, prayer requests and announcements are also included. St. Augustine Academy is open to all qualified students without regard to race, color, creed, nationality or ethnic origin. Admission & tuition info here. At Saint Augustine Academy in Ventura we gather to renew old friendships and forge new ones. 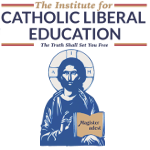 We enter together in Catholic education, as a community of learners – students, teachers and parents – the task, outlined in our mission, of forming our theological, intellectual and moral virtues as we pursue Heaven, the Truth and the Good. In fidelity to the truths of our Holy Catholic Church, the mission of Saint Augustine Academy is to assist parents in their duty of fostering within their children growth in the theological, intellectual, and moral virtues. Let us say grace, i.e., give gratitude to God, for this school – for her time-honored principles of virtue and education, for her families and the beautiful children who make up this St. Augustine family, and for the faculty, staff and, in a particular way, with extra gratitude, our benefactors. Let’s all strive to adopt these ideals – students, teachers and parents alike, and build each other up in the friendship of Christ and as citizens of one nation, under God. – The only one in Ventura County and one of only two Catholic High Catholic Honor Roll Schools in the Archdiocese of Los Angeles to receive such a distinction. 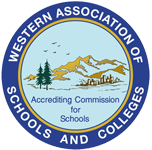 The Academy also holds the distinction of being the longest ongoing member of the Honor Roll for California schools – achieving Honor Roll status every year since 2007. 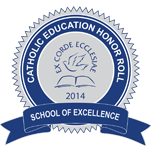 Honor Roll schools receiving this designation are marked by the integration of Catholic identity throughout all aspects of their programs and excellence in academics. This year seventy-one schools received the honor of being named as a School of Excellence. This is less than five percent of the Catholic high schools in the United States.